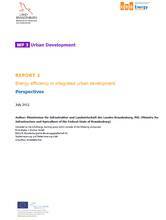 The report “Energy Efficiency in Inte-grated Urban Development – Perspectives” is the second report to be pub-lished by the Ministry for Infrastructure and Agriculture of the State of Branden-burg (MIL) as part of the Urb.Energy INTERREG project. The report presents knowledge gained in the Federal State of Brandenburg and derives concrete recommendations for action and strategy approaches for energy-efficient and climate-friendly urban development. 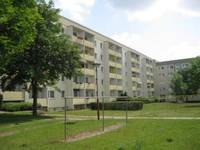 The recommendations build on the experience gained in the context of projects in Brandenburg, which were carried out as part of the National Urban Development Policy, the ExWoSt-research field “Pilot Projects on Energetic Urban Renewal” and the findings of the “Energy in the City” report. Particular emphasis is placed on international comparison, which is a central element of the Urb.Energy project. Strategy and action recommendations are derived and the transferability of the Brandenburg ex-perience to the Urb.Energy project part-ners is highlighted. The extensive experience gained in the Federal State of Brandenburg over the past two decades prompted a shift from reactive urban planning to sustainable integrated urban development. The challenges posed by climate change for cities, particularly in terms of increasing energy efficiency, were gradually recognised and translated into practical action. Even if conditions differ from one country to the next, some suggestions may be derived from practice in Brandenburg for the partner projects. The decision to not only consider energy efficiency on the level of the individual building but also develop integrated energy and climate protection concepts at both city and neighbourhood level proved to be productive. With the energy plausibility check, a tool was developed in the Federal State of Brandenburg, with which the substantive links between settlement structures, energy supply systems and building-related measures can be appraised with relatively little effort. Participatory culture emerged as a crucial factor to the success of planning processes. The involvement of local stakeholders, e. g. in the form of “round tables”, and the formation of networks are suitable measures for guaranteeing that concepts are suitable for practical application and implementation. It is not enough to focus on complex renovation measures on the level of buildings. If they are carefully prepared, low-investment measures offer a favourable cost-benefit ratio and often prove suitable for implementation in situations characterised by serious economic and legal restrictions. The municipalities should develop into centres of energy efficiency and focus on consultancy, information and training. The implementation of measures for increasing energy efficiency is not self-financing and requires funding. A combination of revolving funds and demand-based subsidies is recommended. The experience gained in the Federal State of Brandenburg clearly shows that, although desirable, excellence solutions cannot be implemented on a large-scale regional or national basis. As opposed to this, step-by-step solutions, which form part of a comprehensive concept, enable extensive energy savings, the reduction of climate-harmful emissions and the sustainable enhancement of the quality of neighbourhoods and homes at a low investment cost. The report is available here under Thematic Area: Integrated Urban Development (WP3) (click on Potsdam and Ministry for Infrastructure and Agriculture).